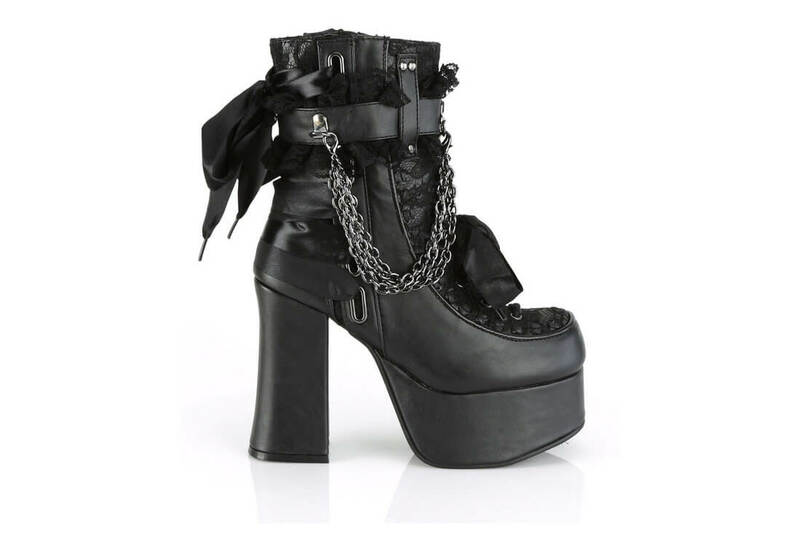 These adorable platform ankle boots are made from vegan leather and have lace overlay. 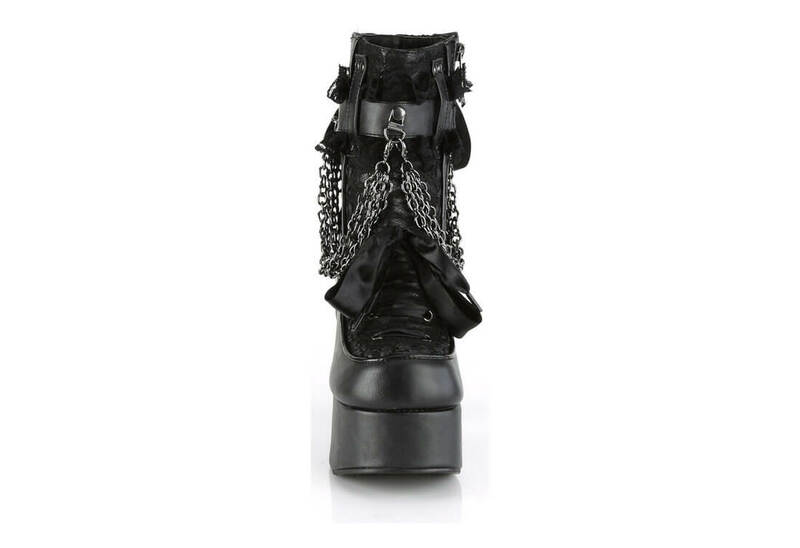 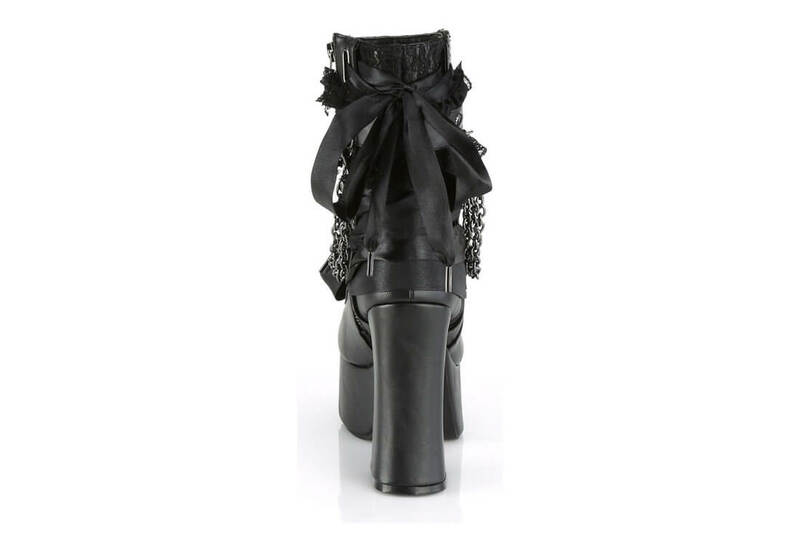 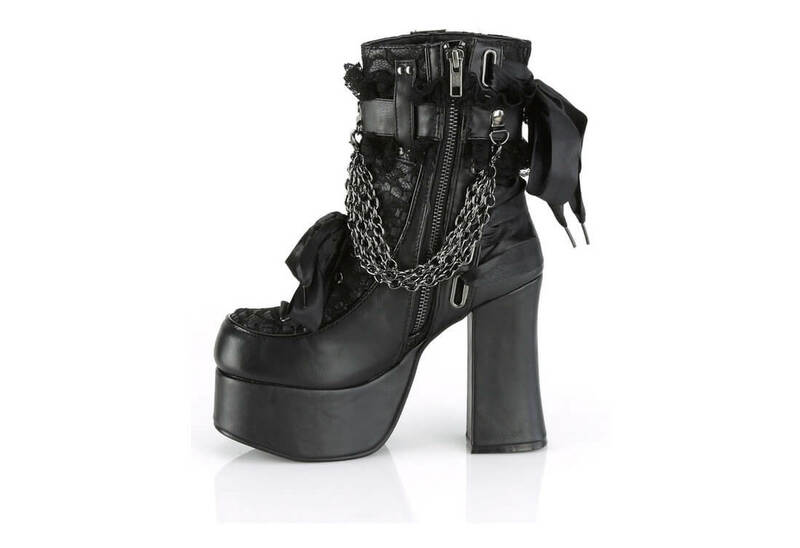 They feature a ruffled ankle strap with chains and front and back satin ribbons. 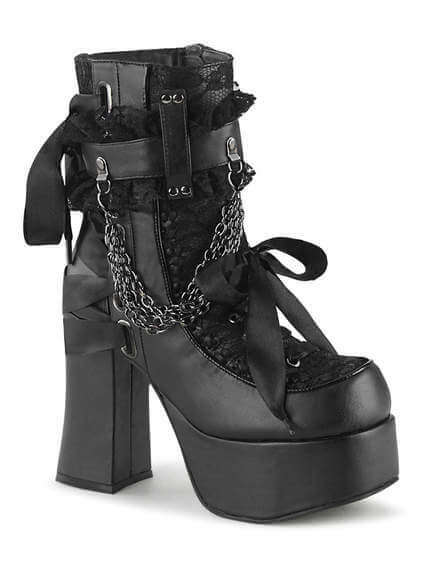 The front laces up and has a full side inner zipper.